Registration needs to be completed by Friday, August 3rd. Please contact the front office with any questions. 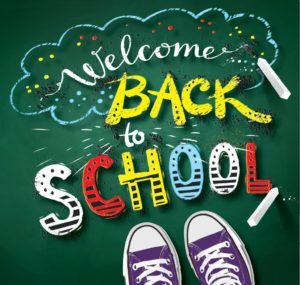 School begins for Middle School students on Monday, August 13th. Please bring school supplies on this day. Students will receive their class schedules and locker combinations on this day as well. There will not be regular hot lunch the first two days of Middle School. Hot lunch will be provided by the Spanish trip fundraising group. If you did not purchase Spanish hot lunch, please send him/her with a sack lunch those two days. Elementary students will have testing by appointment on Monday, August 13th or Tuesday, August 14th. You may bring school supplies to your testing appointment. Please contact the front office if you are unsure of your child’s testing appointment. Elementary students’ first full day of school is Wednesday, August 15th. Arrival/Dismissal: Students may arrive daily at Crown Pointe as early as 7:30 a.m. Elementary students who do not wish to eat breakfast will be allowed to play outside with supervision until 7:50. At that time, students will go to assigned locations to line up prior to going into the building at 7:55. In case of inclement weather, students will line up in the gymnasium. Middle School students will line up in the gymnasium after they eat breakfast (if they desire) prior to going into the building at 7:50.